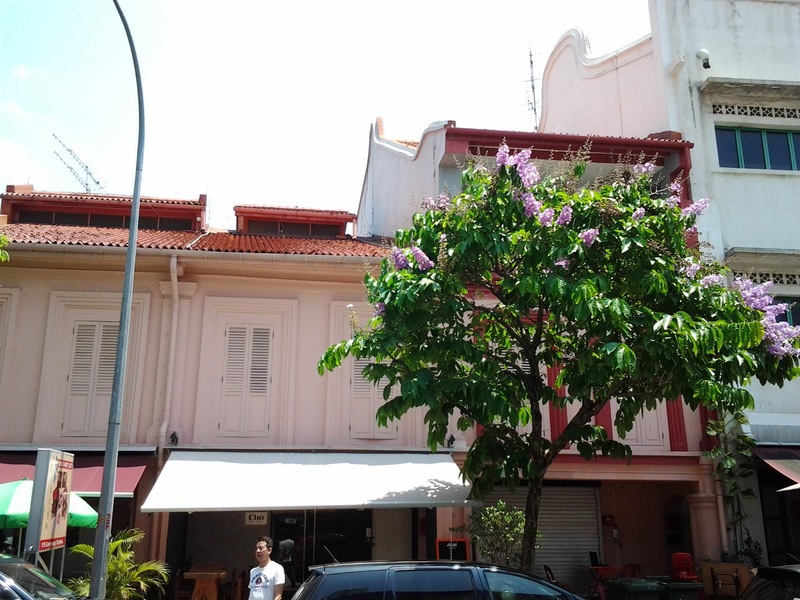 A row of shophouses with the "ship bow" shape at Lorong Telok. Pictures taken 15 Aug 2015. 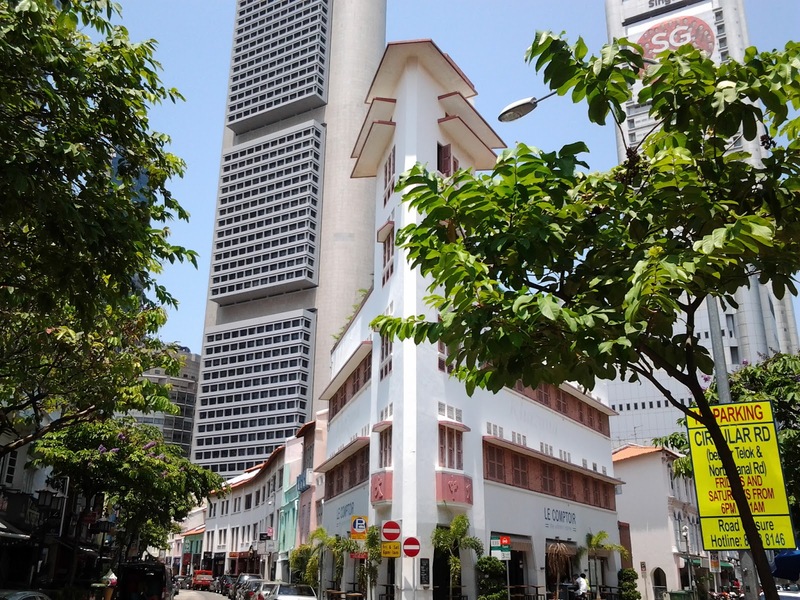 I haven't managed to find information on why this lane is called Lorong Telok. "Telok" in Malay means "bay" so perhaps it was so named because of its proximity to the historic Boat Quay along Singapore River. According to PictureSG, the lane was once referred to by the Chinese as "bih lang koi" or bamboo rattan street because of the many basket making shops there. 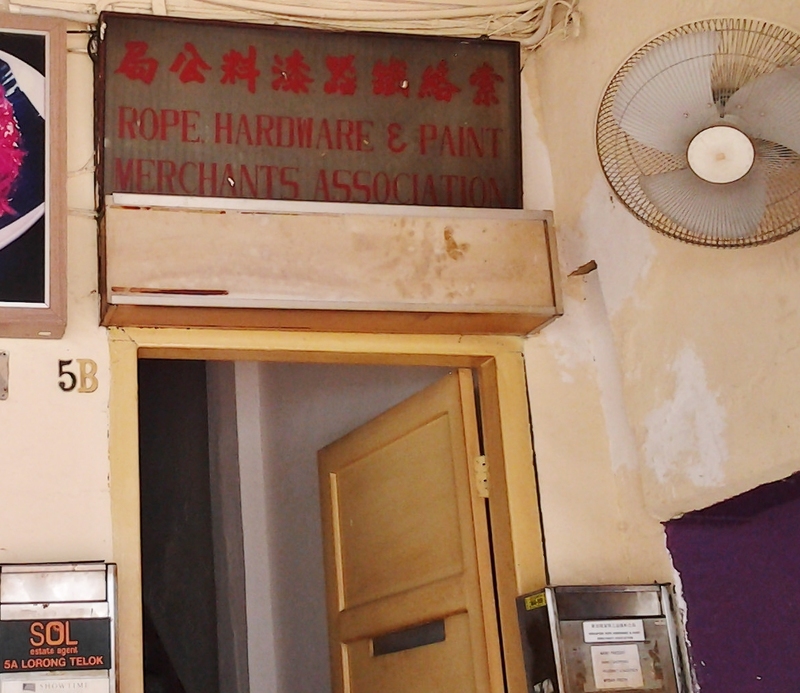 Today I couldn't find any traces of such shops, except for the signboard (above) of an association for rope hardware and paint merchants. But I guess this doesn't count :) The lane may be rather short, but it is packed with pubs and eateries that are featured in a few food blogs -- which makes the place a little too touristy for my liking. What's interesting (to me) is that Lor Telok has two "ship bows" (top picture and below). The "ship bow" at the junction of Lor Telok and Circular Road. Low rise two-storey shophouses interspersed with taller ones at Lor Telok. 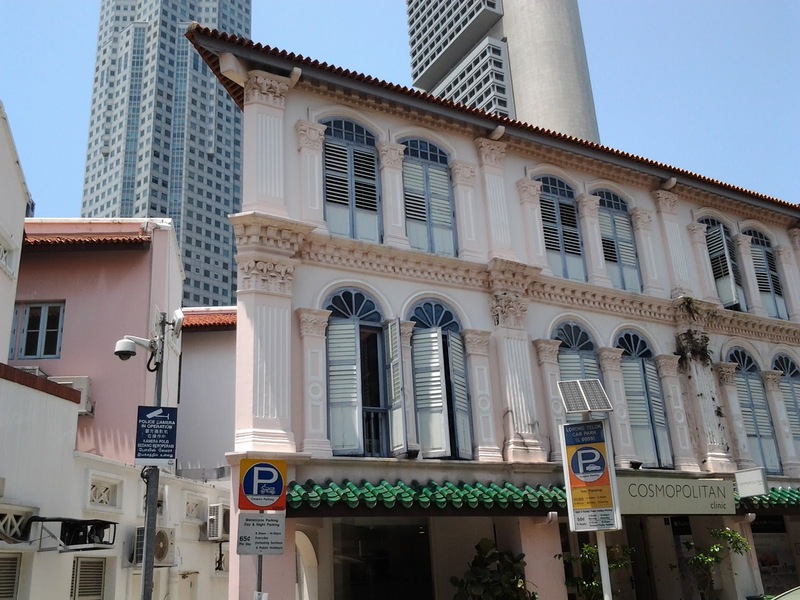 A closed and shuttered unit awaiting a tenant or renovation along Lor Telok. 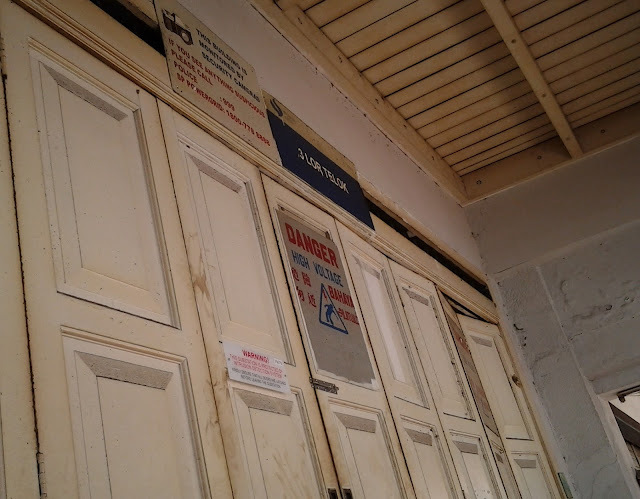 It has old fashioned folding doors that would make those familiar "crack-crack-crack" sounds in the morning when shops open for business -- as quite a few of us can remember.